If you’re after a field book that won’t let you down and is able to survive anything nature can throw at it, then the Rite In The Rain All-Weather Universal 370F Waterproof Field Book is the ideal choice. Its damage-resistance pages are bound by sewn bindings, thereby providing the field books with enhanced resilience and longevity. This feature is complemented by the All-Weather Field Book’s Fabrikoid cover, which is designed to imitate the aesthetic qualities of leather and affords a remarkable level of protection to the Rite In The Rain 370-F’s waterproof pages. Being able to write comfortably in an All-Weather Field Book irrelevant of whether it’s raining, snowing, or even fully submerged in water is something you won’t know you’ve been missing until you’ve tried it. 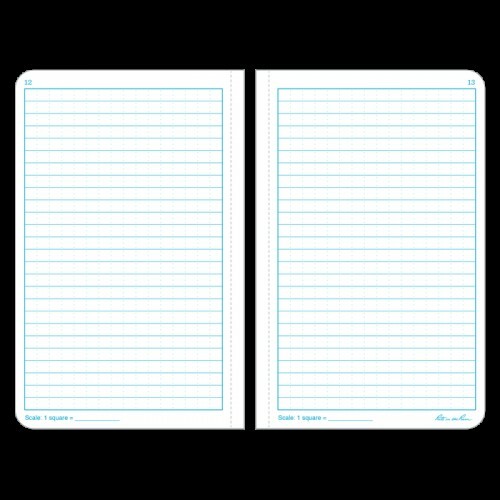 The versatile universal line layout allows writers to use each sheet as they deem necessary from one moment to the next, which has contributed to the popularity of these field books in professional environments and domestic. 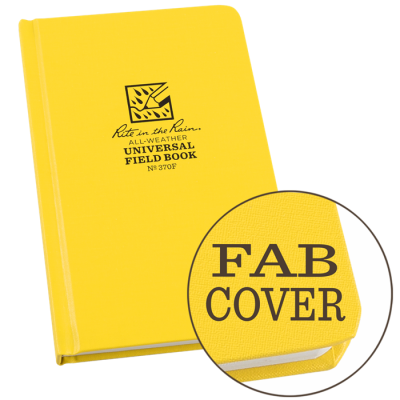 Capable of being written on using any common writing implement, to get the very most out of the RITR All-Weather Universal 370-F Field Book we would recommend using a pencil or an all-weather pen.